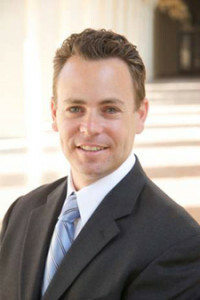 Derryl Halpern obtained a $3 million dollar recovery against the State of California for his client who was injured in a cross median collision. The highway was as straight as an arrow, yet he knew he had to pursued this case for the following two reasons; First: his client deserved a recovery and Derryl knew that stretch of highway was dangerous and should have been fixed long before the accident. Second: he wanted to insure others would not be not injured the same way his client had. Derryl’s verdict against the State paid off – not only did his client received a $3 million dollar recovery, the State also agreed to fix the road. Derryl grew up in the San Fernando Valley of Southern California. He graduated from law school in 1997 ranked number one in his graduating class and as the Editor in Chief of the Law Review. Derryl is licensed to practice law in California and is ready for any challenge including taking on big, companies and powerful government interests like the State of California to advocate for his clients. In addition to handling all sorts of personal injury cases, Derryl is a committed advocate for bicycle accident prevention and bicycle safety causes. His own cycling career is pretty impressive; earning a bronze medal at the 1986 U.S. Olympic Festival in North Carolina when had his sights set on becoming a professional bicycle racer. Derryl still competes in road cycling events throughout California, is an avid mountain biker and also runs trails near his home. However, he gets the most enjoyment out of spending time with his wife and three children.